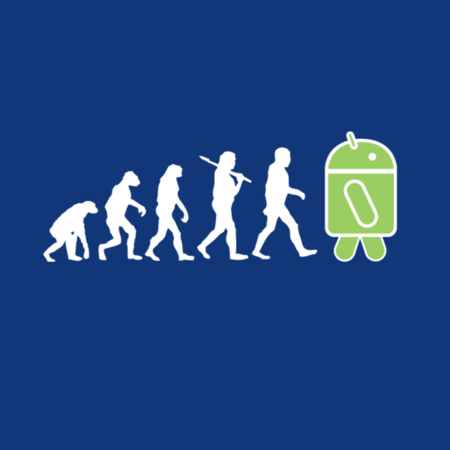 If you want in on this free T-shirt action, and of course you do, head to the comments and let us know which next stage of Android evolution you're carrying in your pocket. Be sure to use a valid email address in the email field of your comment. Whether it's a phone, tablet, or weird laptop/phone/tablet hybrid. The giveaway begins immediately and ends tonight, April 5th, 2012 at 11:59 PST. After that, we'll randomly pick the ten winners and notify you that you're getting some free swag. For the impatient among you, just head straight to the site and order it now. The coupon code expires at 11:59 PST today, so what are you waiting for? Tell 'em the Android Police sent ya'. Note: Sorry, international folks, Tanga only ships to the U.S.